Este Conselho é responsável pela estratégia de desenvolvimento da ICAA. Professor of Knowledge Management in the School of Business at Lappeenranta University of Technology, Finland. Her teaching and research focus on knowledge management, intellectual capital, creativity, innovation and organizational renewal. 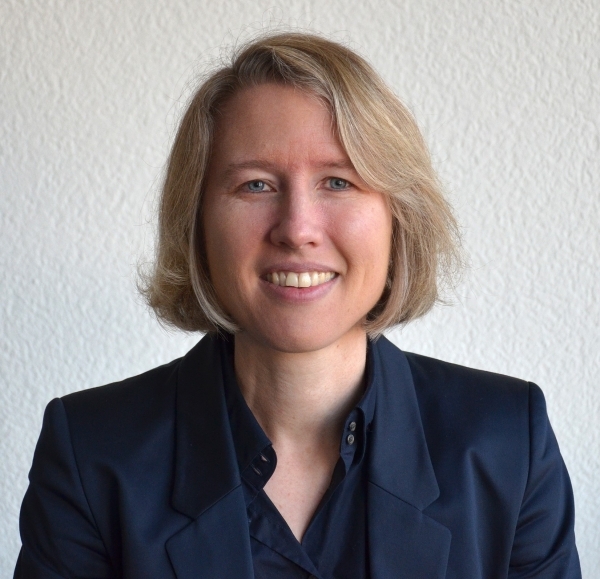 Her current interests include the knowledge-based view of the firm and measurement of knowledge-related phenomena and their performance impact in organizations. She has authored and co-authored more than 50 academic articles, papers, books and book chapters related to knowledge management, intellectual capital and innovation. She has delivered key note speeches and acted as a track chair in several international conferences, and has received multiple awards for research excellence in Intellectual Capital related issues. Professor and Phd Coordinator at Instituto Superior de Ciências Sociais e Políticas – ISCSP in Lisbon. He was awarded a Ph.D. in Psychology at Catholic University of Louvain, Belgium. He has been invited as a conference key note speaker in the area of the human resources management. He lectures in leadership, organisational behaviour and human resources. He is expert in advanced training courses for executives. He is author of a number of books and has published many articles in refereed Journals and in refereed international conferences in the field of human resources and organisational behaviour. He is also a member of the Editorial Board of several academic journals. He has supervised and examined several PhD theses and master dissertations. He has extensive experience as a consultant both in private and in public companies. In recent years, his research has been focused on studying the importance of managing intellectual capital as a driver of organisational innovation. Professor has more than 20 years experience in Science, Technology and Innovation Policy. He is currently Director of Human Resources Training for Science and Technology at the Portuguese Science and Technology Foundation. Previously, he was Head of Partnerships Management Unit at the European Institute of Innovation and Technology, Budapest, Hungary. He was also Director of Innovation and New Technology at the Portuguese Industrial Association (AIP) – Chamber of Commerce and Industry in Portugal. Alexandre was appointed by the Portuguese Prime-minister as Director-General of Ceger (the Management Centre for the Electronic Government Network) in the Ministry of the Presidency in Portugal (2005 - 2011). Previously he was Executive Director of the Science and Technology Park in Abrantes (2002 - 2004) and ICT coordinator for the Ministry of Science and Technology (1994 - 2000). Alexandre is associate professor of information science and technology policy at University Lusophone of Humanities and Technology and was elected in 2009-2013 as President of the Governing Board of the Polytechnic Institute in Santarem. Since 2011, he is a member of the Scientific Council and Fellow at the Research Centre for History and Science, Prof. Joaquim Veríssimo Serrao, Portugal. He has had international academic appointments at the University of Oxford, the Oxford Internet Institute (a research associate since 2006 and post-doctoral research fellow 2004 - 2005), the London School of Economics and Political Science – LSE, Media and Communications department (visiting assistant professor in the MsC Global Media and Communications, 2005 - 2006), the Science and Technology Policy Research centre at the University of Sussex (doctoral researcher, 2000 - 2004) and the Erasmus University of Rotterdam, Netherlands (Erasmus European fellowship, 1994). Senior Research at Institute for Applied Economic Research (IPEA). 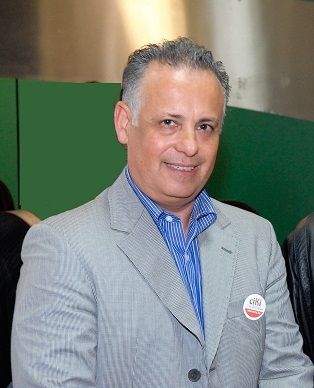 Professor at Catholic University of Brasília, Brazil. Ph.D in Information Science, University of Brasilia. Author of the book: Knowledge Managment Framework for the Brazilian Public Administration. Field of research: Knowledge Management in the public sector. Head of the Department of Knowledge and Quality Management of Ipea. Member of the Global Knowledge Survey Network (GKS). Awarded, 2nd place in the Knowledge Management and Intellectual Capital Excellence Awards 2015 for the implementation of Ipea´s Knowledge Repository (September 2015). Consultant in the field of Knowledge Management with the following Brazilian public organizations: Agência Nacional de Aviação Civil (ANAC), Empresa Brasileira de Correios e Telégrafos (ECT), Instituto de Pesquisas Tecnológicas de São Paulo (IPT/SP), Ministério das Comunicações, Fundação Oswaldo Cruz (Fiocruz), Polícia Civil do Governo de Minas Gerais, Polícia Militar do Governo de Minas Gerais, among others. PhD in Social Sciences, Organizational Behavior Studies by Technical University of Lisbon. She has a master's degree in business sciences by ISCTE - IUL Business School, an Engineer's degree, in Agricultural Engineering and a Licentiate degree in Management of Agricultural Business by Polytechnic Institute of Santarém. She teaches several disciplines in graduate and post-graduate courses (marketing, intellectual capital, knowledge management, innovation, entrepreneurship, reward systems, human capital management) and she is a business consultant. Her main research interests are: Knowledge Management, Intellectual Capital, Measuring of Intangibles, Marketing Strategy, Innovation and Entrepreneurship. Currently, she is ICAA’s (Intellectual Capital Association) president and she is leading the ICLab – Intellectual Capital Research Center. She is a member of the DINAMIA'CET and of the Research Centre for History and Science, Prof. Joaquim Veríssimo Serrão, Portugal. She is member of the scientific committee of several international conferences. She has more than 30 published academic articles, papers, book chapters and scientific specialized journals, related to knowledge management, intellectual capital and innovation. She has also been an active participant in the press, where she has published more than 200 articles of opinion on issues of economic and social actuality. Specialist in management issues connected with knowledge management, intellectual capital and trust management. She holds the rank of University Professor of Warsaw University of Life Sciences and Polish-Japanese Academy of Computer Technologies. She is also adjunct professor at University of Vaasa in Finland. Prof. J. Paliszkiewicz is well recognized in Poland and abroad with her expertise in management issues. She has published over 150 original papers and 3 books. 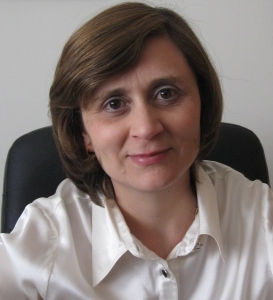 She is vice president of Polish Association of Production Engineering and International Institute of Applied Knowledge Management (in area of research and development). She is chief of international relationship in European Business Club. She serves on the editorial board for several international journals. She is the deputy editor-in-chief of Management and Production Engineering Review Journal. Prof. J. Paliszkiewicz has been awarded a number of grants sponsored by Polish Ministry of Sciences. In recognition in her outstanding teaching and research, Professor J. Paliszkiewicz has been the recipient of awards of excellence from the Rector of the Warsaw University of Life Sciences. Dr. Paliszkiewicz was named the 2013 Computer Educator of the Year by IACIS. Doctor of Industrial Engineering, a graduate in Economics and Emeritus Professor of Strategic Management at the U.P.C., Polytechnic of Catalonia, Barcelona. He teaches on the subject of knowledge management, intellectual capital and organizational learning. He has held top executive positions in computer services and management consultancy firms. He is co-author, with Maria do Rosário Cabrita, of the book entitled Entrepreneurial Excellence in the Knowledge Economy: ICBS: Intellectual Capital Benchmarking System. He is a regular speaker in international conferences and congresses on Knowledge Management, Intellectual Capital and Knowledge-Based Development. 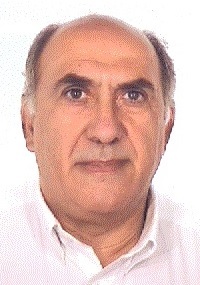 He is an advisory board member of Journal of Intellectual Capital, Electronic Journal of Knowledge Management and Knowledge Management Research and Practice. His current field of research and interest is focused on knowledge and intellectual capital management and he has consulted and developed management frameworks and systems worldwide on those matters. Among them the most relevant methodologies and frameworks are: ICBS Intellectual Capital Benchmarking System, CICBS Cities' Intellectual Capital Benchmarking System and RICBS Regions' Intellectual Capital Benchmarking System. He has been in the research groups of the following European projects: InCaS-Intellectual Capital Statement-Made in Europe, MIKE-Management of Intangibles in the Knowledge-based Economy and CADIC-Cross-Organizational Assessment and Development of Intellectual Capital. Key pioneering contributor to both the theory and practice of Intellectual Capital. As the world’s first director of IC in 1991 he initiated the creation of the world's first public corporate Intellectual Capital Annual Report 1994, and inspired the development ever since on IC metrics. He was parallel to that prototyping the Skandia Future Center as a Lab for Organisational design, one of the very first in the World in 1996, and inspired many to be followed, today as a group called Future Centers Alliance. Professor Leif Edvinsson has his education from the University of California, Berkeley, USA, and Lund University, Sweden. He is the author of numerous articles on the service management and on Intellectual Capital. In March 1997, together with Michael S. Malone, he launched one of the very first books on Intellectual Capital. He is also special advisor on Societal Entrepreneurship to the Swedish Governmental Foundation for Competence and Knowledge Development, as well as on Service Science to the Swedish Governmental Agency for Innovation. In 1997 co founder of Intellectual Capital Sweden AB. In 2010 initiator, together with Aalto University of the World´s First Camp on Societal Innovation. Advisory Board Member to PwC on Societal Development. Also special advisor to among others KBUD - Knowledge Based Urban planning projects in both Stockholm as well as Lund, Sweden. 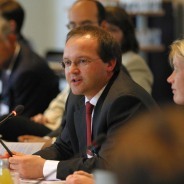 He is also Member of the European Commissions project group on Open Service Innovation. Leif is serving on the Board of Directors of several knowledge intensive enterprises among others for many years the Center for Molecular Medicine at Karolinska Institute, Stockholm, Sweden. Since 2000 he has been the Honorary Chairman of the UK based Henley College, KM Forum. In 2000, appointed as the World´s First Professor adjunct at Lund University on Intellectual Capital. In January 2006, he was also appointed professor adj. at The Hong Kong Polytechnic University, and later promoted to Chair Professor in 2007. In 2009 also appointed Guest Professor at Jiaotong University, Xian, China. In June 2010 awarded in Kuala Lumpur as The Brand Laureate for Branding of Human Capital. PhD in Work and Organizational Psychology and Professor at Faculty of Psychology and Education Sciences, University of Coimbra, Portugal. Pre-graduate and post-graduate teaching activity in work and organizational psychology area. Supervisor of several PhD and Master theses. Portuguese Coordinator of the European WOP-P Master supported by the European Commission through the Erasmus Mundus Programme. Her research interests are focused on knowledge management, human resources management, decent work and organisational performance. Author of various book chapters and scientific papers. Ph.D. in 1998 on "Measuring Instruments in Knowledge Management" as an assistant professor at the Karl Franzens University of Graz, Austria. He specialized on the management and valuation of intangible assets. Since then he published regularly (+55 contributions) in books, international journals and conferences. He built a reputation as speaker in topics of Intellectual Capital Management, Organizational Learning, Innovation and Knowledge based Strategies. He was invited to teach at more than 15 international business schools and universities. 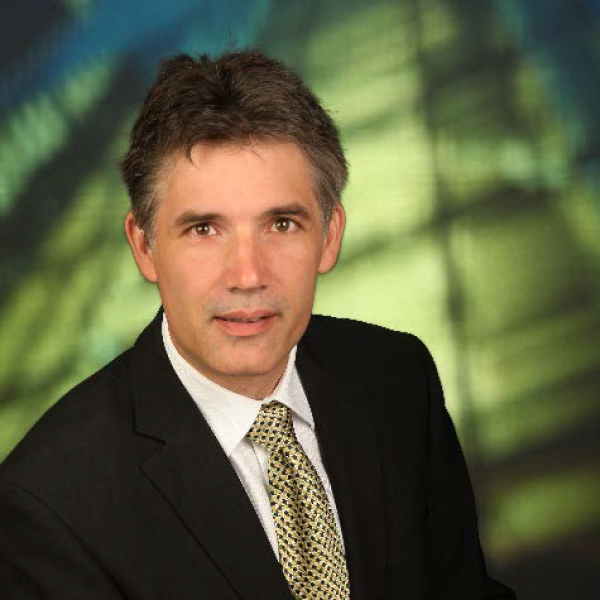 Since 1996 Manfred developed his consulting company “Intangible Assets Consulting GmbH” in Austria and successfully contributed to resolving some of the challenges of the assessment and management of Intangible Assets from the perspective of applied research. So far, more than 200 projects have been completed. Project sizes range from startup companies to small and medium sized organizations to stock noted companies in almost all sectors of industry, for-profit as well as non-profit and public administration. Among the key achievements so far ranks an ongoing research project "Intellectual Capital Statement - Made in Germany". Visible results are a well-established guideline and a software solution for the evaluation and management of Intellectual Capital. After early positive results, the project won EU-commission funding under the name of InCaS in a broad consortium. Ph.D. in Business Administration (Institute of Economics and Business Administration, Lisbon Technical University). 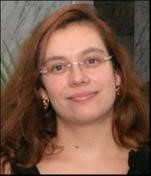 She is Assistant Professor and researcher at the Universidade Nova de Lisboa. 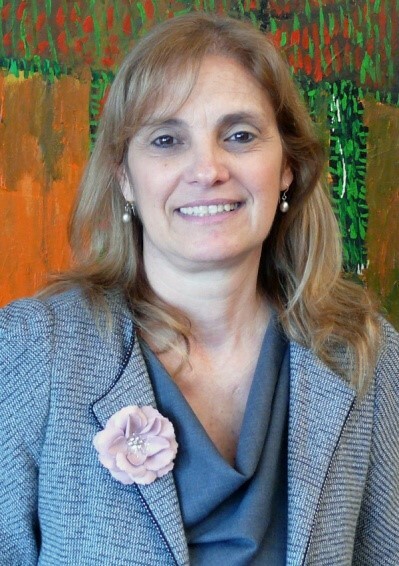 She is also Assistant Professor at the Portuguese Banking Management School in Lisbon and in ISCTE-Business School. She teaches several disciplines in graduate and post-graduate courses (strategic management, intellectual capital, knowledge management, innovation, measurement of intangibles and entrepreneurship programmes). She has more than 50 published articles in conferences, book chapters and scientific specialized journals. She is co-author, with Prof. José Maria Viedma, of the book entitled Entrepreneurial Excellence in the Knowledge Economy: ICBS: Intellectual Capital Benchmarking System. Involved in international projects (in Africa and Europe) she also works as consultant in private and public sectors. She has several years of experience in various management positions in international banks. She is member of Editorial Board of some scientific journals. Research areas of interest are: intellectual capital, knowledge management and measuring intangibles. She has received some papers-award in Portugal and abroad. 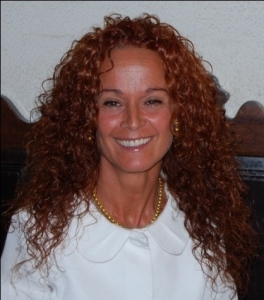 In January 2005, Maria do Rosário received the Edvinsson-Saint Onge’s best paper award at the 26th McMaster World Congress. Full professor and PhD supervisor at the Academy of Economic Studies Bucharest, Romania. Her main topics of interest are; Knowledge & innovative based society and economy; Creative & Innovative Management; Knowledge Management and Innovation; Intellectual Capital. She is actively involved in supporting these this topics as a trainer, a PhD and Post PhD supervisor and as a researcher. She is coordinator of the national research project IDEI 1224 dedicated to the topic of “Creative economy & knowledge–based society. Challenges and opportunities for Romania”, 2007-2010. 3M National Teaching Fellow and an award-winning professor at the DeGroote School of Business, McMaster University. He is recognized as the world’s leading expert on intellectual capital and its impact on performance and has recently been named as one of the Top 30 Management Gurus world-wide. He helps organizations leverage their most important intangible asset for sustainable competitive advantage. His customized programs are a mix of practical managerial tools, rigorous academic research, strategic consulting, entertaining humour and a blast of youthful exuberance. Tom Stewart, former Editor of the Harvard Business Review, recognizes him as a "pioneer and one of the world’s real intellectual capital experts". He has received numerous teaching and research awards and Maclean’s magazine has rated him as one of McMaster University’s most popular professors for six years in a row! 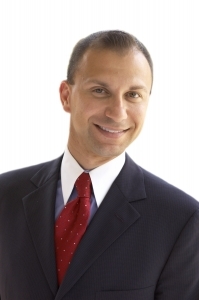 With his unique combination of substance and sizzle, Dr. Nick Bontis is guaranteed to ignite, entertain and enlighten audiences, empowering them with both the tools and the inspiration to perform at a higher level of accelerated performance. Doctor by the Federal University of Santa Catarina in Production Engineering, working as a teacher in undergraduate and graduate degree in Production Engineering for more than 30 years in the evaluating processes areas, value analysis and cost systems. 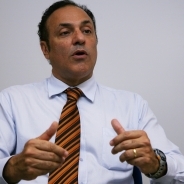 Has consulting several business organizations and some large multinationals, having been one of the creators of Brazilian Value Analysis Association, and President of the Brazilian Production Engineering Association, coordinated projects funded by the Organization of American States (OAS) and national funders bodies. in the last ten years has been dedicated to Knowledge Management, is one of the creators of the postgraduate program in Engineering and Knowledge Management, and was its first coordinator. It has dedicated to the intangible assessment theme with special attention to the intellectual capital, publishing articles in national and international journals. Actually, is lecturer of the postgraduate program in Engineering and Knowledge Management and cooperates with the program’s institutional relations coordination, and is an Instituto Stela consultant, which is an institute for practical application of knowledge management and engineering knowledge concepts, is one of the creators and general coordinator of the International Conference on knowledge and Innovation (Ciki). As the most recent work is the scientific coordinator of a Regional Analysis of Science, technology and innovation Framework to the Santa Catarina state. Chair for Information and Knowledge Management at the Department of Information Sciences, University of Applied Sciences in Potsdam, Germany. His research interests continues with the focus on the use of knowledge and information in organisations since 1989.He continues as a Senior Visiting Research Fellow with Leeds University Business School, UK. Peter started his career at the Fraunhofer Society in 1990, where he led the "Competence Center Knowledge Management" (CCWM) and was involved in the development of the Guideline “Intellectual Capital Statement – Made in Germany” and the WB-Toolbox. 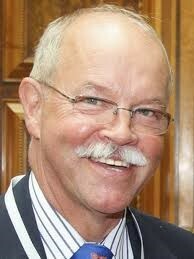 He is a founding member of the Working Group Wissensbilanz. Peter’s team worked on KM projects with industry partners (Siemens, VOLKSWAGEN), service (SAS, German Airtraffic Control), public administration (Home office of one Federal State) and research organization (Fraunhofer). In 2002, he was appointed by the CEN and EU DG Information Society as European KM expert to serve on the expert group on the "European Guide to Good Practice in KM" (CWA 14924). After working as consultant in Germany, Peter joint the Engineering Design Centre (EDC) at the University of Cambridge as a Senior Research Associate to coordinate a Grand Challenge research project on ‘Knowledge and Information Management through life’ (KIM) with partners from academia and industry. 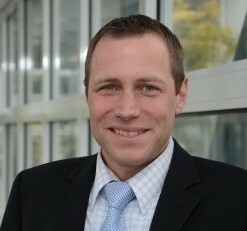 After moving to Leeds, Peter initiated the Global Knowledge Research Network with partners in over 30 countries and coordinated the first two research projects of this unique global network. Head of Business Excellence Methods Department at Fraunhofer Institute for Production Systems and Design Technology, Berlin, Germany. Ronald holds a MBA degree from Free University Berlin and a Doctor of Engineering from Technical University Berlin. He has worked in several research and consultancy projects with partners from industry and the public sector. Project sizes from start-ups, SME up to multinational companies and research networks in national and international context (e.g. Asia, MENA region). His research interests are focused on knowledge management, intellectual capital and sustainability management and reporting as well as on benchmarking and performance measurement. He is author of various scientific articles and book chapters. 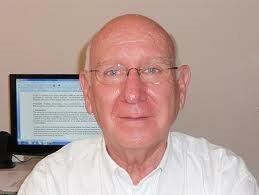 Ronald was the Secretary General of the Global Benchmarking Network and he is a member of several expert groups (e.g. Integrated Reporting, Strategic Competence Management as well as Knowledge Management and ISO 9001:2015 of the Society for Knowledge Management). He is a guest lecturer on German and European universities and business schools. Fellow of the Research Centre for Rapid and Sustainable Product Development (CDRSP) and the Research Centre for Sustainable Management (CIGS) at the Polytechnic Institute of Leiria, Portugal. She was awarded a Ph.D. degree in 2002 in Strategic Management by the University of Wolverhampton, UK. Former Dean at School of Fine Arts And Design - Polytechnic Institute of Leiria. She lectures advanced strategic management and marketing courses in management master degree programmes at the School of Management and Technology (ESTG), Polytechnic Institute of Leiria (IPL), Portugal. She is also lectures in strategic management in advanced training courses for executives. She does consultant work in strategic management and strategic marketing. Her research interest comprises a wide range of topics within the field of strategic management, namely business strategy, business failure, innovation, entrepreneurship and knowledge management. Associate Professor at the School of Business at University of Skövde (Sweden). She is also leader of the research group knowledge and innovation management (KIM) at the School of Business at University of Skövde. Her research interests include small business management, SME succession/transfers, knowledge management, knowledge / IC risk management and corporate governance. She has been conducting several national and international research projects on company succession, corporate governance and knowledge management in SMEs. Retired Portuguese Navy officer where he served as a naval engineer between 1964 and 2009. He got his Naval Engineer Degree from Portuguese Naval School, an Applied Mathematics Degree (Licenciatura), and a Master´s degree in Statistics and Operations Research from Faculdade de Ciencias, Lisbon Classic University and a Doctoral Degree – in Multivariate Data Analysis - from the Statistics Department, Salamanca University. Currently he shares his investigation activity between ICAA-Santarem and the Departamento de Estatística, Salamanca University. 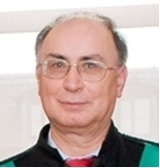 His main investigative interests are related with graph data mining and automatic synthesis of results from multivariate data analysis, being the author of a methodology, based in intersection graphs, to generate automatic synthetic descriptions of results from multivariate data analysis and its implementation through a software (BiplotsPMD) where those ideas are put to use.